Four short novels from the author of The Fireman and Horns, ranging from creepy horror to powerful explorations of our society. One autumnal day in Boulder, Colorado, the clouds open up in a downpour of nails, splinters of bright crystal that tear apart anyone who isn't safely under cover. 'Rain' explores this escalating apocalyptic event, as clouds of nails spread out across the country and the world. Amidst the chaos, a girl studying law enforcement takes it upon herself to resolve a series of almost trivial mysteries...apparently harmless puzzles that turn out to have lethal answers. And in 'Aloft', a young man takes to the skies to experience parachuting for the first time...and winds up a castaway on an impossibly solid cloud, a Prospero's island of roiling vapour that seems animated by a mind of its own. 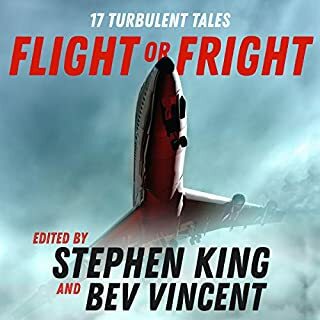 Read by Wil Wheaton, Kate Mulgrew, Dennis Boutsikaris and Stephen Lang. 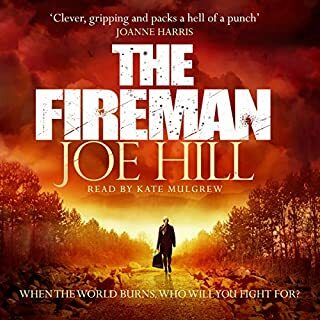 I didn't like The Fireman, it was a good idea, that started well, but eventally was ruined by being a bloated, saccharine mess. These for short novels are far tighter and tense affairs. 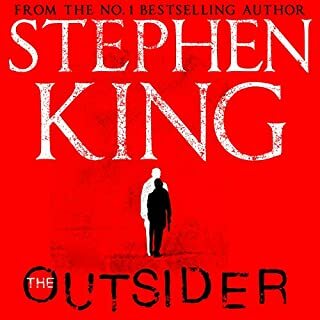 Like lots of good genre fiction the stories hold a mirror up to contemporary situations, especially the current political climate in America. 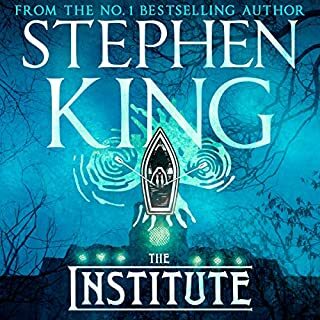 Each story is a great, for their own reasons, and the superb narrations really add to a great audio experience. 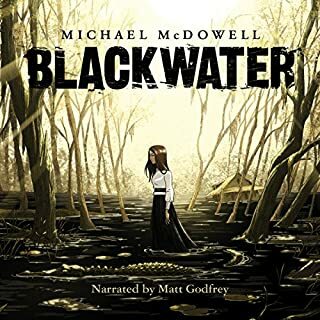 Great story, well written and voiced. 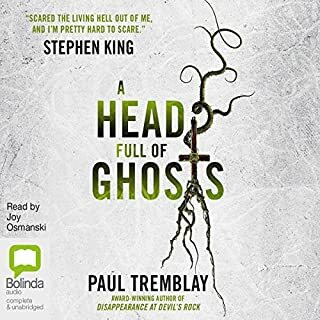 I would highly recommend this to any fan of the author. 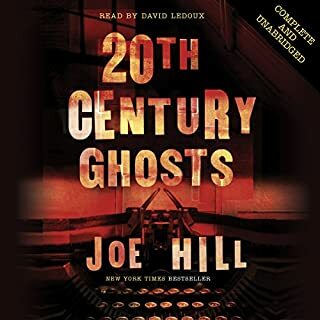 Having enjoyed Lang's reading of Heart Shaped Box, Mulgrew's NOS4A2, and Wheaton's Ready player One, I was already onboard with the narrators and Mr. Hill's prose, so this was a great change to the 10-14hr stories I had been digesting recently. 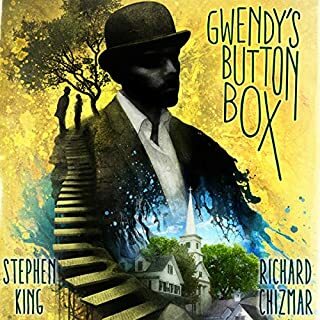 A good choice this collection of 4 short stories. Recommended. 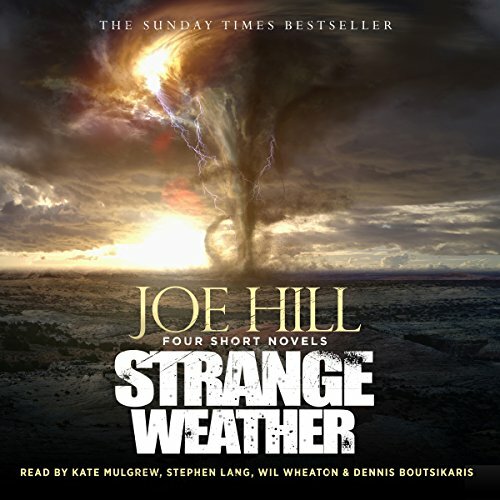 this is my first contact with Joe hill and I hope his longer novels are well thought as these 4. 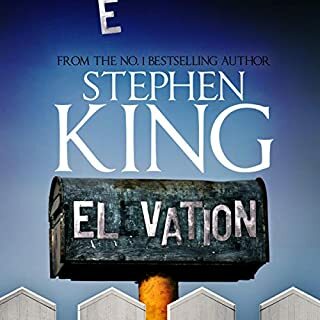 I was not very impressed with the 3rd novel but all three others I really enjoyed. Novellas and short-story collections are my favourite. this book is the right combination of both. the readers are excellent as is to be expected. Highly recommend this. A book that takes you to new horizons of wonder, awe and outrage... ‘Loaded’ especially is arresting and will give an emotional reaction, depending on your political stance... powerfully written and expertly crafted. 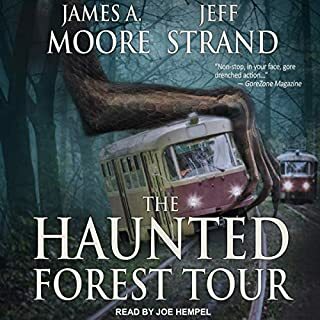 The devil is in the detail of these stories and Hill laces detail into each paragraph, so expertly, that when the magic hits the page, it is never questioned. 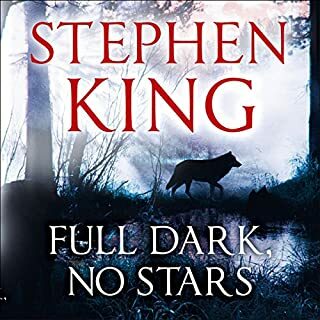 The narrators were flawless... apart from Will Wheaton’s terrible SA accent, which marred the first novella, whenever it raised its ugly head... but the other narrators were brilliant - Kate Mulgrew, as always was sublime! 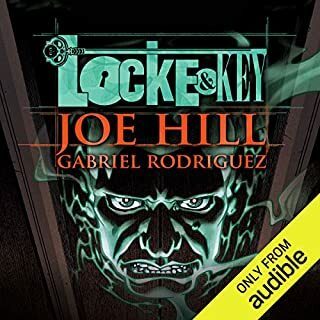 Joe Hill just seams to get better and better. 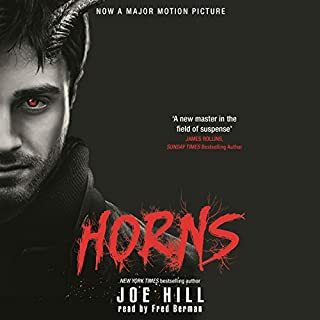 Would you try another book written by Joe Hill or narrated by the narrators? 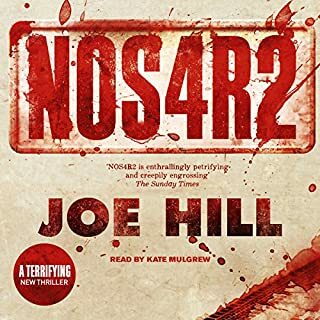 Yes, I enjoyed NOS4R2, also read by Kate Mulgrew. 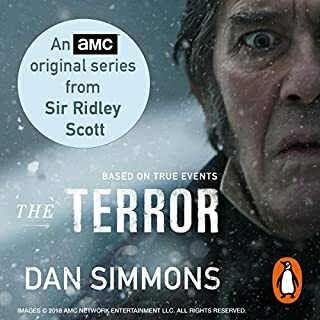 Wasn't a massive fan of Dennis Boutsikaris' narration, but That could be because I really didn't enjoy the story that he narrated. 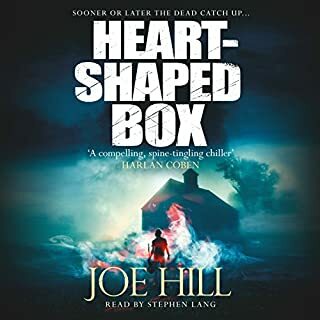 Would you ever listen to anything by Joe Hill again? I thought Stephen Lang did a good job of narrating as a whole. The first story is ok, although Wheatton's attempt at a South African accent made my toes curl!! 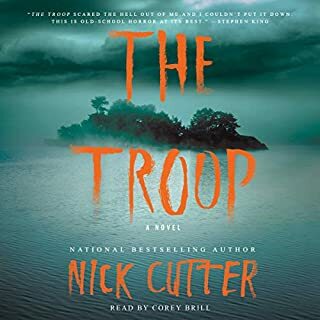 The second novella is a really good listen. Dark, surprising and worth a listen. The fourth isn't bad, but it wasn't groundbreaking, and definitely didn't feel like an original idea. Really enjoyed the stories overall but was a bit mystified with Aloft to start with. I've really enjoyed Hill's work, and this collection of novellas does not disappoint. 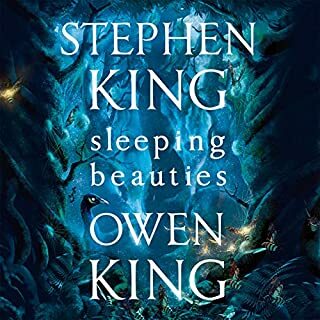 His depth of imagination is superb, and his storytelling skills polish that off with aplomb. I'm looking forward to decades of pleasure from Hill.